Because Nota has been in closed beta, an invite code has been required in order to sign up. However, this week Nota launched its open beta. 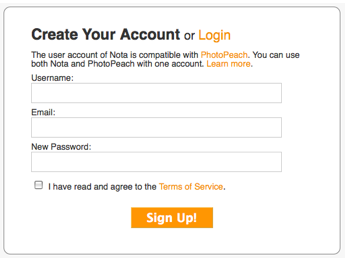 This means that anyone can sign up and use Nota without an invite code from an existing user. We hope you enjoy using Nota and sharing the service more casually with your friends or colleagues. whole design of the Nota website. We have added some new contents, such as the "Nota Quick Guide". We are happy to hear your comments on the new Nota!